My blog’s been really quiet for a while. Not because nothing’s been happening in my life, but because too many things have been happening. Between working, travelling and writing to earn my daily crust, little time has been left for the updating of my blog. I hope you’ll understand and forgive me for that, but sometimes life just seems to get in the way of the fun stuff. 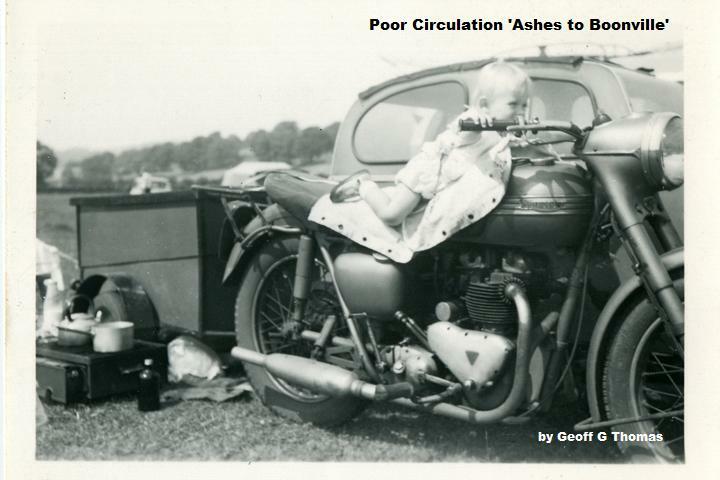 After almost four years of work, admittedly not always hard and diligent work, the book Poor Circulation ‘Ashes to Boonville’ is finally finished. It’s taken quite a while to write and rewrite it, but in my defence, there have been many distractions along the way. Today, 25th October 2012, I finally laid down my pen and declared ‘Enough’. The story begins at the beginning, not the absolute beginning because I really don’t know when that was, and works its way towards an end. It’s not the very end, because obviously I’m still alive and writing this for my blog, but to the end of the outward journey, a journey from London to Boonville California. One hundred and twenty five thousand words, most of which appear to be spelled correctly and in approximately the right order, charting the ups and downs of that 2008 journey. I’m hoping to have the book published before the end of the year and will follow it with Poor Circulation ‘Homeward Bound’ and Poor Circulation ‘The Accidental Pilgrim’. After that, who knows? The journey still continues, random and amusing things keep happening and I’m sure that in years to come, there’ll be enough of them to complete a fourth instalment in the Poor Circulation saga.